Page view compliments of Beyond International Inc. 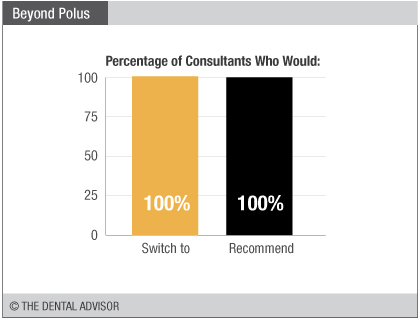 Beyond Polus Advanced was evaluated by 4 consultants, with an average of 14 uses per consultant. 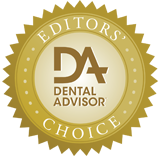 It received a 97% clinical rating. 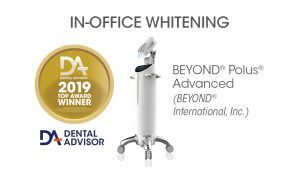 Beyond ® Polus Advanced is designed to accelerate tooth whitening, and can also be used for spot whitening individual teeth. 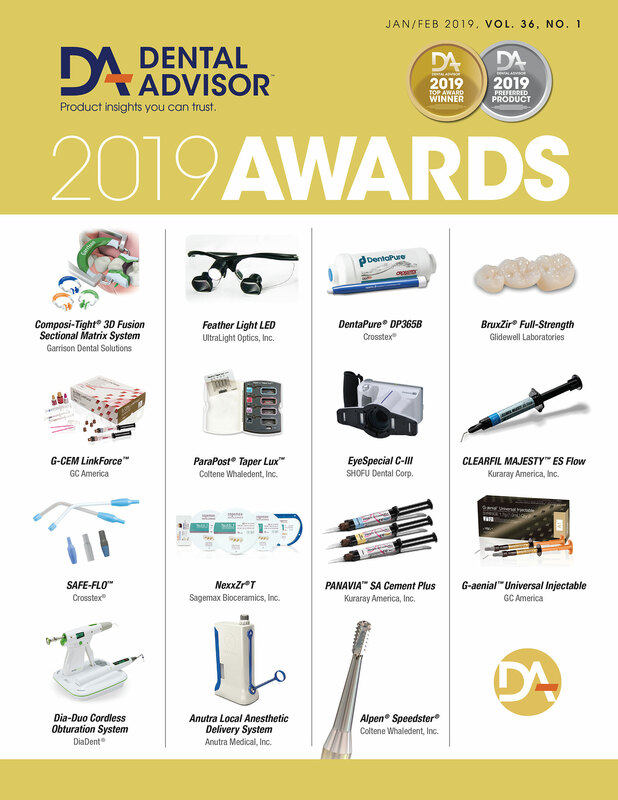 It consists of a combination halogen and LED lights, at a wavelength of 480-520 nm, and ultrasonic whitening technology that creates pressure to accelerate the whitening gel’s chemical reactions. 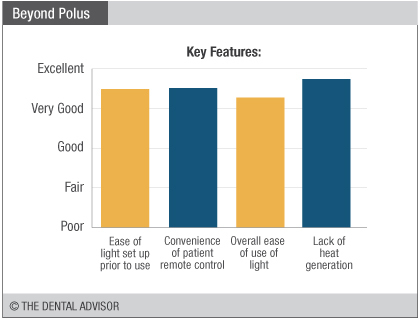 Beyond Polus Advanced has a built-in curing light with 3 settings (low, medium and high) and a motorized arm. The touch screen monitor with the Touch User Interface (TUI) panel lets the operator customize the settings and height for each patient. To prevent heat generation, Beyond Polus Advanced is designed with a temperature monitor and cooling system – an advanced air ionizer that removes heat and UV output. It also comes with a wireless remote control with a patient call button.